Once a piece of ransomware has got hold of your valuable information, there is very little you can do to get it back other than accede to the attacker’s demands. Ransomware, a type of malware that holds a computer to ransom, has become particularly prevalent in the past few years and virtually unbreakable encryption has made it an even more powerful force. If the attackers gain access, they will try to infect other machines on the network and gather essential information about the company’s business operations, IT infrastructure and further potential vulnerabilities. These vulnerabilities can include when networks are not effectively segregated into different parts, or are not designed in a way that makes them easy to monitor (network visibility), or have weak administration passwords. They then upload the ransomware, which encrypts valuable data and sends a ransom note. Using information such as the firm’s size, turnover and profits, the attackers will then estimate the amount the company can afford and tailor their ransom demand accordingly. Payment is typically requested in cryptocurrency and usually between 35 and 100 bitcoins (value at time of publication £100,000–£288,000). According to the police officers we spoke to, another popular attack method is “spear phishing” or “big game hunting”. This involves researching specific people who handle finances in a company and sending them an email that pretends to be from another employee. The email will fabricate a story that encourages the recipient to open an attachment, normally a Word or Excel document containing malicious code. For example, traditional ransomware attacks ask for a fixed amount as part of an initial intimidating message, sometimes accompanied by a countdown clock. But in more targeted attacks, perpetrators typically drop a “proof of life” file onto the victim’s computer to demonstrate that they control the data. They will also send contact and payment details for release of the data, but also open up a tough negotiation process, which is sometimes automated, to extract as much money as possible. One way to improve this situation would be to better protect remote computer access. This could be done by disabling the system when it’s not in use, and using stronger passwords and two-step authentication (when a second, specially generated code is needed to login alongside a password). Or alternatively switching to a virtual private network, which connects machines via the internet as if they were in a private network. When we interviewed cybercrime researcher Bob McArdle from IT security firm Trend Micro, he advised that email filters and anti-virus software containing dedicated ransomware protection are vital. Companies should also regularly backup their data so it doesn’t matter if someone seizes the original. Backups must be tested and stored in locations that are inaccessible to ransomware. Gavin Hull, Henna John, Budi Arief, “Ransomware Deployment Methods and Analysis: Views from a Predictive Model and Human Responses”, Crime Science 8(2), 2019. The EMPHASIS project is part of the Research Institute into the Science of Cyber Security, the most interdisciplinary cyber security community in the UK. See the write up by Wendy Grossman of EMPHASIS in RISCS. 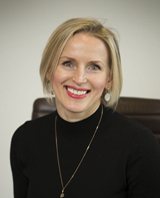 Anna Cartwright is an Associate Professor in Economics at Coventry University and a co-investigator on the EMPHASIS project. Her research interests include game theory, industrial economics and behavioural economics. Recent papers look at the business model behind ransomware and game theoretic models of ransomware. She is a member of the Cyber Security Research Group at the Institute for Future Transport and Cities. 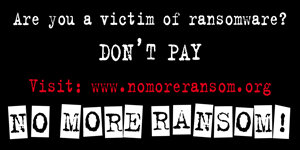 The EMPHASIS ransomware project has joined NoMoreRansom as a supporting partner. If you are a victim of ransomware, do not pay the ransom. Look on the NoMoreRansom site to see if decryption tools are available for this particular ransomware. Prof Tom Chen is a Professor in Cyber Security in the Department of Electrical and Electronics Engineering. His research interests are in malware, network security, and cyber-terrorism. Dr Ali Raheem is a Post-doctoral Research Fellow in the Department of Electrical and Electronics Engineering at City, University of London. 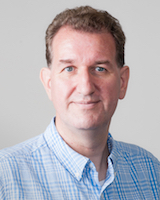 His research interests are in Security Protocols: Internet of Things (IoT), Wireless Sensor Networks, Cloud Computing, Wireless Networks, M2M systems and Pervasive healthcare applications and systems, Peer to Peer Network, Long Term Evolution (LTE),Locator/ID Separation Protocol (LISP), Malware, Virtualisation and Cloud Computing and Verification. After the third body, the series of murders becomes less “mysterious” as we are getting hints of a dodgy business deal (a house, or a painting) or a guilty family secret from over 20 years ago. Someone has been blackmailing someone else over this, rather than solve the issue or go to the police. This detective story trope must be plaguing the minds of some GDPR story writers at the moment – forgetting that the blackmailer is usually the 3rd if not already the 2nd murder victim. Looking to feed the nervous sentiment over the upcoming GDPR, or hunting for follow-up threats to cryptoransomware, the information security trade press is currently producing many stories about GDPR extortion. These stories are not just presenting extremely unlikely scenarios, but by their prominence they actually introduce an unnecessary risk. Emphasis member Eerke Boiten responds to these stories with an article in Computing. 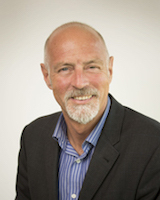 Dr Stephen McGough will be acting as the research lead for the EMPHASIS project at Newcastle University. His research expertise lies in the areas of Big Data, Machine Learning and particularly Deep Learning. We are also in the process of recruiting a researcher. Please get in touch if interested. Julio Hernandez-Castro is a Professor in the School of Computing. His main research areas are Computer and Network Security, Cryptography and Crytptanalysis, Steganography and Steganalysis, Data Loss Prevention and RFID Security. Budi Arief is a Senior Lecturer in the School of Computing. 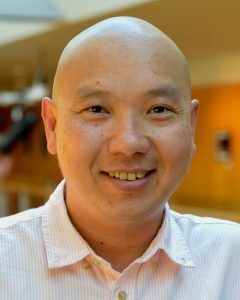 His research interests include cybercrime (especially in understanding the human aspects involved), computer security, and the Internet of Things, with a strong overarching element of interdisciplinary research. We have two Research Associates working on the EMPHASIS project: Orcun Cetin and Osama Abu Oun. Orcun Cetin is a Research Associate at the University of Kent’s School of Computing. His research focuses on the economics and human aspects of cybersecurity, where he uses qualitative and quantitative methods to answer questions related to cybersecurity policies and cybercrime victimisation. Osama Abu Oun is a research associate in the School of Computing at the University of Kent. His research interests include technical aspects of cybersecurity, virtualisation, fog/edge computing and internet of things. Two PhD students are also working in topics related to ransomware: Jamie Pont and Calvin Brierley.